As per the provisions of Section 152(3) of the Companies Act, 2013 no person shall be appointed as a director of a company unless he has been allotted the DIN under Section 154. 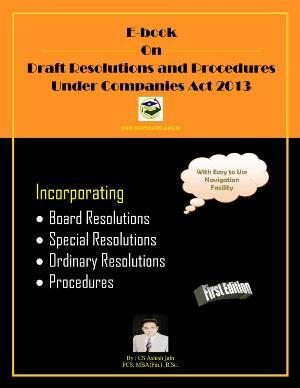 As per the provisions of Section 153 of the Companies Act, 2013 Every individual intending to be appointed as director of a company shall make an application for allotment of Director Identification Number to the Central Government in such form and manner and along with such fees as may be prescribed. 1. eForm DIR-3 has to follow the offline eFiling process. 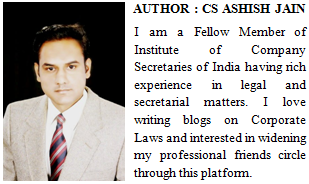 For more details regarding the same visit eFiling FAQ's. 3. 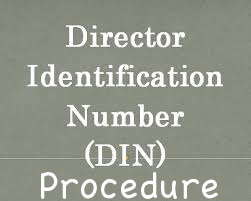 Along with the supporting documents, verification by the applicant for applying for allotment of Director Identification Number (DIN) shall also be attached. This shall contain the Name, Father’s name, date of birth, present address and text of declaration and physical signature of the applicant. 5. Upon upload, Pay the fees for DIR-3 eForm. Only electronic payment of the fees shall be allowed (I.e. Netbanking / Credit Card). No challan payment will be accepted under revised procedure of DIN allotment. The user is required to get himself/herself registered on the MCA21 Portal to obtain login id, which is necessary for payment of the fees. After obtaining the login-id, Login to the MCA21 portal and click on 'eForm upload' link available under the 'eForms' tab for uploading the eForm DIR-3. eForm DIN-3 will be processed only after the DIN application fee is paid. 6. Upon upload and successful payment, In case Form DIR-3 details have not been identified as potential duplicate, Approved DIN shall be generated and if the details have been identified as potential duplicate, Provisional DIN shall be generated. 7. Processing of e Form DIR-3 In case, DIR-3 is a potential duplicate, the MCA DIN cell will examine the e Form DIR-3 and same shall be disposed of within one or two days. 8. Post approval changes in particulars of DIR-3 : If there is any change in the particulars submitted in form DIN-3, applicant can submit e-form DIN-6 online. For instance in the event of change of address of a director, he/ she is required to intimate this change by submitting eform DIN-6 along with the required attested documents.